We’d love your help. 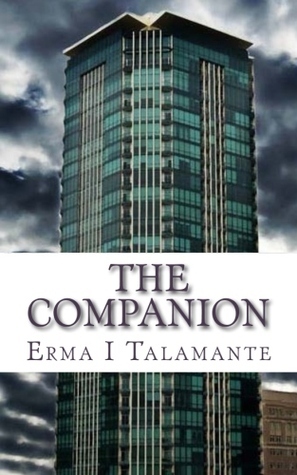 Let us know what’s wrong with this preview of The Companion by Erma I Talamante. A girl makes a dangerous choice when her life is in danger, becoming a possession, and entering a different world to save her life. But in a world of slavery and attacks on human rights, was it the right choice? To ask other readers questions about The Companion, please sign up. Well, talking about a taste ... what a taste! A kind of subtle sci-fi it seems. I like the character of Marion already, and I'm intrigued by the Andri', Benjamin. Also, the setup of the story works well, like a literary version of trailer. I guess I'll just have to wait for the rest. This book is a little different than my usual reviews - mostly because it is by me! So, instead of my usual review, I will offer you a taste of the story - an exclusive preview! Feel free to link to or add your own review below... The more feedback, the better. I hope you enjoy this enough to want to keep reading! News for the official release will be available soon! Erma Talamante grew up in libraries. Literally. She developed her interest in books at an early age, and started writing her first year of school. Erma has had a wide variety of jobs and experiences, which she uses to give insight and perspective into her stories.